Leading OEM Manufacturer of hydraulic power pack and hydraulic power packs from Indore. 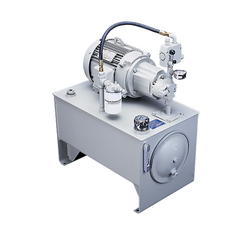 We specialize in manufacturing a comprehensive range of Hydraulic Power Pack. The innovative engineering allows complete drainage of fluid, protects against system shock, provides easy access to inside of reservoir and have low noise level. Our industrial hydraulic power units are painted with polyurethane paints to avoid corrosion. Our industrial hydraulic power packs work under all climatic conditions, even in coastal areas where the salt content is high in the atmosphere. 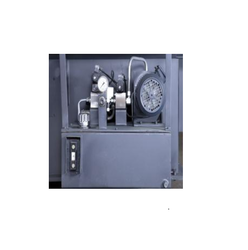 Industrial Hydraulic Power Units manufactured as per customer's specifications, our range of Industrial Hydraulic Power Packs suites the requirement of diverse industries. We specialize in manufacturing a comprehensive range of Hydraulic Power Packs. The innovative engineering allows complete drainage of fluid, protects against system shock, provides easy access to inside of reservoir and have low noise level. Our industrial hydraulic power units are painted with polyurethane paints to avoid corrosion. Our industrial hydraulic power packs work under all climatic conditions, even in coastal areas where the salt content is high in the atmosphere. Industrial Hydraulic Power Units manufactured as per customer's specifications, our range of Industrial Hydraulic Power Packs suites the requirement of diverse industries.